Participate now on Auto Portal this Independence day to win BIG! Then you must try out this amazing contest which is currently running on Auto Portal website on the occasion of Independence Day. It is loaded with exciting offers and is a must-try for everyone. The Auto Portal Independence day Offers to suggest us to book a car through their website between 1st August 2017 till 31st August 2017 and you could stand a chance to win not one, but an exciting range of products and prizes. Are you gamed to know what are they? Well, the first prize is a whopping stay and travel at Dubai! Isn’t that truly exciting! Well, there are some more amazing offers to your display. The Second prize winner gets Travel and Stay trip to Goa! Unbelievable, isn’t it? The Third prize winner gets an iPhone 6 32 GB. Simply WOW! Well, hold on! It doesn’t end here! We are considerate enough and this entire contest revolved around being Lucky, right? There are more 7 consolation prizes for the next 7 winners and they get an ICICI gift card worth 5000 INR! We know you are definitely gamed to participate, yes? 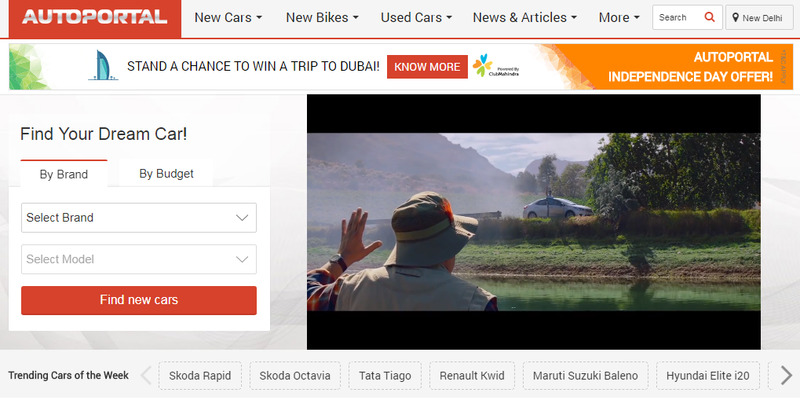 The entire prizes are being powered by Club Mahindra. Auto Portal is a website which is the one-stop-shop to all your car and bike needs. One can find new to used cars and bikes on the site and it also has a dedicated Mobile App which is accessible through your fingertips. How does Auto Portal work? Auto Portal is a host to a number of cars and bikes in the new and used category and they have dealers across India. One has to simply log in to their website and type in a few details like the brand name of the car they are looking out for and the budget, and Auto Portal helps to list down all the available cars that are present in that selection criteria. They also offer car loans which make it easy for one to buy a new car or bike without a hassle. They also offer car loans which make it easy for one to buy a new car or bike without a hassle. They have insurances attached to the car and bikes which make it more convenient as an option. I would simply suggest that it is one of the best sites available online to purchase or buy a car or bike at ease. It is a one-stop-solution to our car and bike purchasing needs. They have an entire directory of cars and bikes in the new and used category. They also have the option to sell used cars and bikes. So, one can always visit them to buy or sell cars.